Hitting the hottest clubs with the virtual Kim Kardashian will make you a Hollywood A-lister in no time. Kim Kardashian is famous for doing nothing. Now she's got a game that's pulling in $700,000 a day where players have to do, well, nothing. "Kim Kardashian: Hollywood" from Glu Mobile lets you create an avatar that can work to achieve virtual A-list status. Your mission: hob-nobbing with celebrities, going to a photo shoot and wearing expensive clothes. The game is free to download, but players spend real money on things like virtual clothes, virtual hairstyles and energy boosts for their avatars. The more your avatar does, the faster you can move up the ranks from the E List to the A List -- the objective of the game. If sales continue at their current rate, the game will gross $200 million in its first year, according to Doug Creutz, an analyst at Cowen and Company. 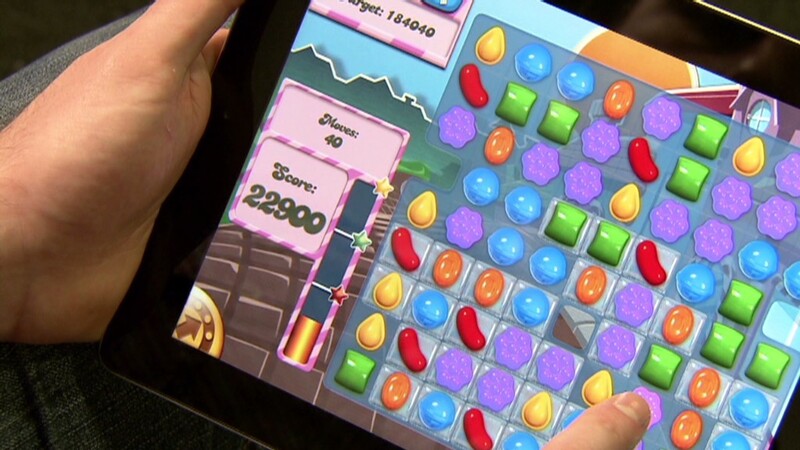 That would put "Kim Kardashian: Hollywood" in the big leagues with smash-hit mobile games such as Candy Crush. Creutz estimates there are only about seven other apps in the world that are pulling in more money right now. And Kardashian's is one of the top five most downloaded apps in Apple's store. "I don't even know what genre to call it, but people are taken with it," he said. Shares of game maker Glu Mobile (GLUU) have soared more than 30% since the app launched in late June. Niccolo de Masi, Glu's CEO, credited the game's "exceptional early performance" with boosting the company's second-quarter results. He said the game has broken Glu's single-day revenue record. Glu's second-quarter revenue soared 68% to $49.9 million, though it reported a loss of nearly $4 million. Play: What super rich celebrity do you spend like? Despite the positive buzz surrounding the Kardashian game, shares of Glu Mobile tumbled 8% in premarket trading on Thursday as investors cashed in on some of their recent winnings. 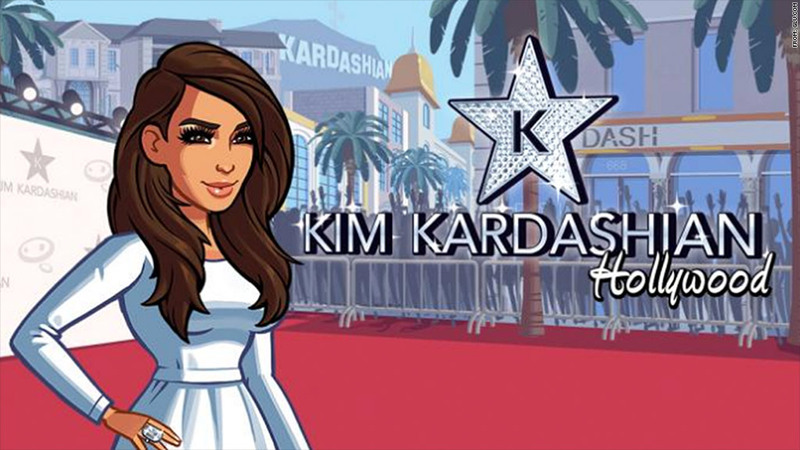 It's impossible to know if "Kim Kardashian: Hollywood" will maintain its current growth, Creutz said. Adding new characters and levels to the game -- hello Kourtney and Khloe! -- could keep more people playing longer. The mobile game market is expanding rapidly. The trick is to get more people comfortable with spending money on purchases within games that they downloaded for free. Right now, less than 3% of gamers do so. CNNMoney reporter Matt Egan contributed to this report.